After taking a minor downturn on Tuesday, BTC was quickly able to bounce back carrying the entire cryptocurrency market along. 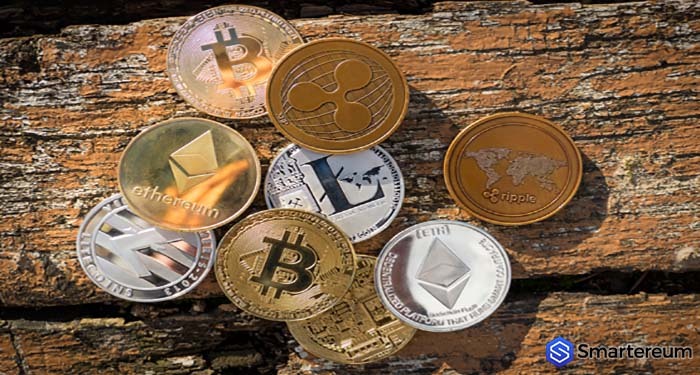 It’s possible that the fall in price signified mid-term bottoms for all cryptocurrencies. Later, yesterday, BTC was trading in green above $3500. The $3400 level seems to be serving as a strong support for the cryptocurrency. This is evident from the fact that the price did not break this level even as it tumbled against the USD. Mould said that these kind of bubble occurred in the late 1990s with Nasdaq Composite. The asset crash was followed by multiple rallies and up to eight of these rallies failed dragging investors into deeper deeps. This was followed by a benchmark bottom in 2003 after the asset had lost 75% of its value. When the price of BTC was rising yesterday, the price of altcoins rose along with it. EOS made a record as the best performing altcoin yesterday as it traded higher by 10%. Even if the daily trend recorded gains, the seven day trend shows that it is down by 12%. Right now, EOS is trading at $1.92. This shows that it is up by 2.73% against the USD and up by 2.98% against BTC. XRP was up by 3% yesterday and it managed to stay above $0.30. This level may be the mid-term bottom for the cryptocurrency. Right now, XRP is trading at $0.303705. This shows that it is up by 0.04% against the USD and up by 0.18% against BTC. Ethereum (ETH) was able to move back to $90 yesterday. Today, ETH is trading at $89.24. This shows that it is up by 0.18% against the USD and up by 0.40% against BTC. Bitcoin (BTC) is trading at $3,425.73. This means that it is down by 0.09% against the USD. The 24 hour trading volume is $3,985,903,958 and the market capitalization is $59,676,448,391.